The 3D shaded relief map represents one of several map types and styles available. Look at Bria, Haute-Kotto, Central African Republic from different perspectives. Shaded relief style for all areas outside of the borders of Bria. Physical style for all areas outside of the borders of Bria. Satellite style for all areas outside of the borders of Bria. All areas outside of the borders of Bria darkened. All areas outside of the borders of Bria desaturated to grayscale colors. All areas outside of the borders of Bria lightened. All areas outside of the borders of Bria partly desaturated to almost grayscale colors. Each map type offers different information and each map style is designed for a different purpose. Read about the styles and map projection used in the above map (Shaded Relief 3D Map of Bria). Shaded relief map shows landscape features, such as mountains, valleys and plateaus. Flat areas are smooth on the map, areas with steep slopes and mountains appear more rough. The above map of Bria was created using a digital elevation model. 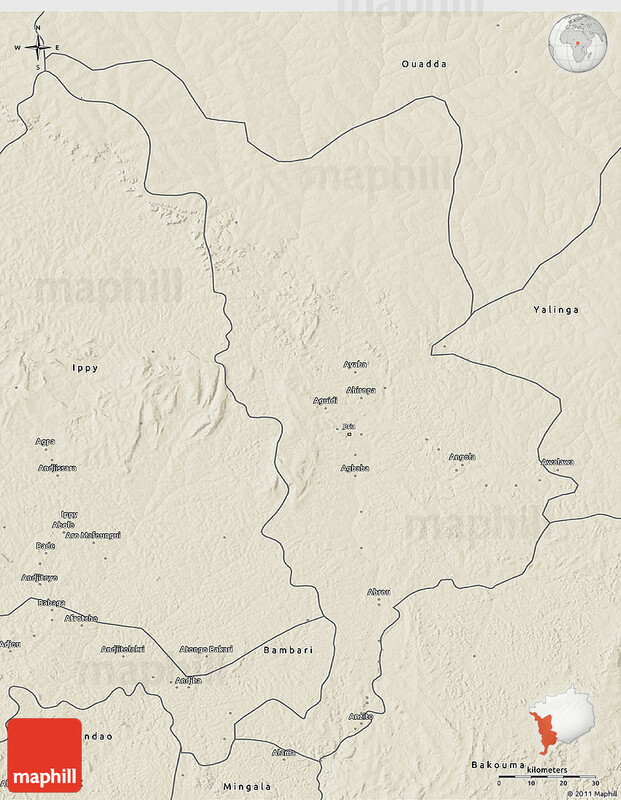 Embed the above shaded relief 3D map of Bria into your website. Enrich your blog with quality map graphics. Make the web a more beautiful place.